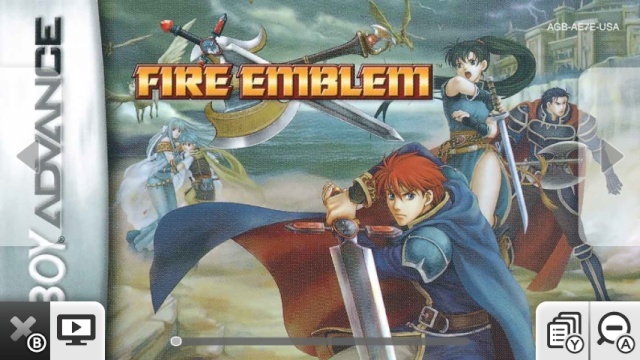 Fire Emblem for the Gameboy Advance was the first Fire Emblem game to release outside of Japan, but there were many games in the series released on the NES and SNES that were never localized. This, however doesn't negatively affect our opinion of the series in the slightest. The story is one of strife, war, and dragons, but the story takes a back seat to the strategic gameplay that the series is famous for delivering. The number of units are quite limited compared to the more recent Fire Emblem games, however this actually enhances the difficulty of the game. Unlike most of the DS and 3DS Fire Emblem games there is no way to level outside of the chapters and there is no world map to shop between chapters so the difficulty of this game can be very punishing. Promotion items are also very hard to come by so don't expect to upgrade all of your units. And the lords don't get promoted until almost the end of the game which makes the promotions for those units almost pointless. This was also the first game in the series that introduced the magic trinity system to work alongside the weapon triangle system of Swords > Axes > Lances > Swords. This adds an even greater sense of strategy to the game. The game has three main characters and storylines as well as secret levels that can be incredibly difficult to unlock. Visually the game looks good for a Gameboy Advance title and the cutscenes look even more impressive. The soundtrack is arguably one of the best of the series in our humble opinion. Fire Emblem is a great example of what SRPG's are supposed to provide gamers. With a high level of difficulty, coming up with a winning strategy is very important and that's the very essence of the genre. If you're into strategic games you will thoroughly enjoy Fire Emblem. This is another game on my large backlog. I really need to start playing more of the games that I purchase! This is the game all series newcomers should start with. It isn't the best, but it has an EXTENSIVE and unskippable tutorial that teaches all the intricacies of the series in much greater depth than other entries. 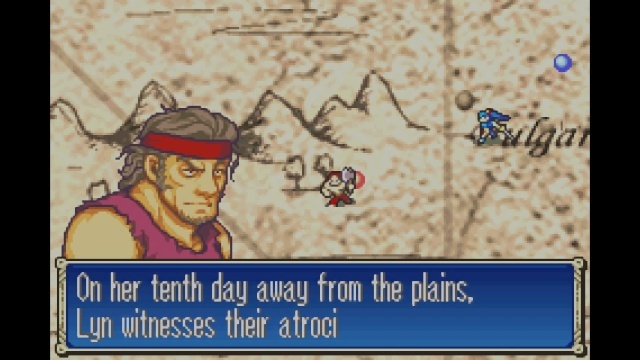 This is fitting since it was the first game most westerners played, but if you were introduced to the series via Sacred Stones (like most of my friends were), the Radiant games (like I was), or Awakening (like a LOT of fans were), you're going to find the first 10 or so chapters of this one rather tedious. There is some story in the opening to keep you going through it and the game does get MUCH, MUCH better after that, but it's worth noting for series vets who missed this one. I wanted to play this back in the day, but I never got around to buying it. Now that it's finally out on Wii U, I have my chance! The tutorial is too long in my opinion, but this game is still fun!